Norwegian based Tom Wood founded by Mona Jensen launched its’s first jewelry collection in April 2013. With a wide range of signet rings, the brand reinvented the classic menswear piece. With attention to detail and high quality craftsmanship, Tom Wood managed to introduce a new and modern take to classic jewelry, inspired by Scandinavian minimalism and functionalism. Most of the pieces are made unisex, so both men and women can enjoy it. 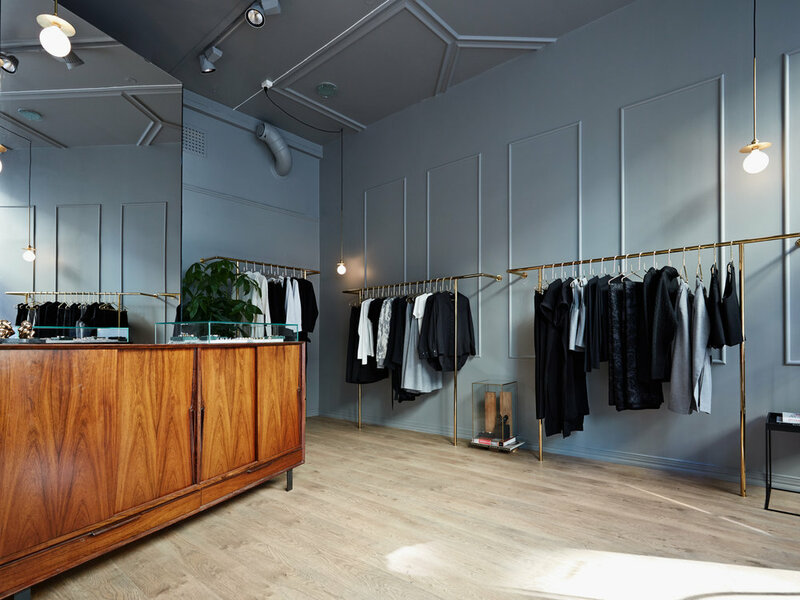 The new store is a collaboration with designer John Andre Hanøy. Together they have created a personal and unique store, quite different from all the other stores Oslo has to offer. A huge installation created from mirrors become a small monument inside the small store with delicate grey walls matched up with racks and clothes hangers in shiny brass. "We wanted to create a warm atmosphere with elements you wont find anywhere else. Tom Wood has produced the hangers in brass, while John Andre has made the incredible lamps, together we have been to a bunch of antique stores to find furniture unlike any other store," Mona Jensen explains. In the store you will find the entire Tom Woods universe, from clothes to jewelry and miniature sculptures in bronze. "It is amazing to be able to meet the customers face to face, and see their reaction to the things we create. I sometimes work in the store just to get the impressions and respons from the customers. With the new store we are able to do what we want to do," she finishes.